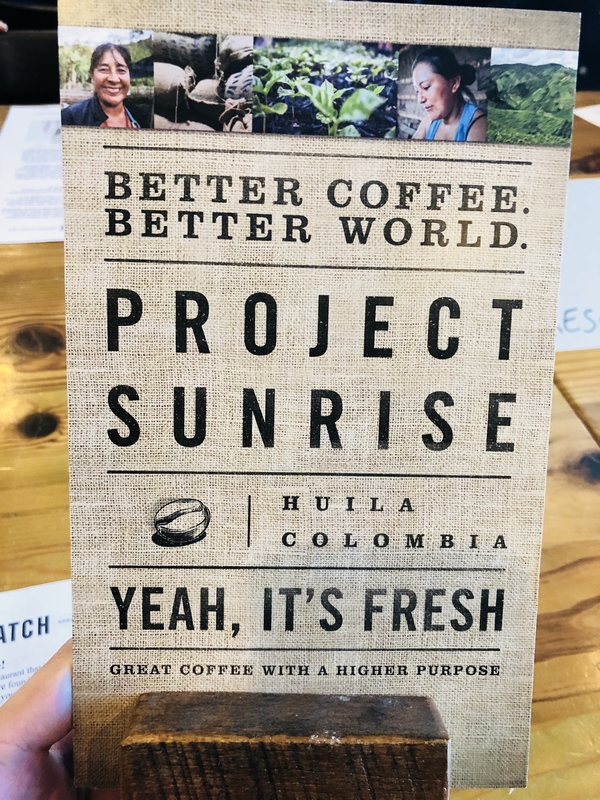 Florida-based breakfast, brunch, and lunch restaurant chain First Watch has recently unrolled a new coffee program, called Project Sunrise, using a new single-origin coffee sourced from women coffee growers in Huila, Colombia. 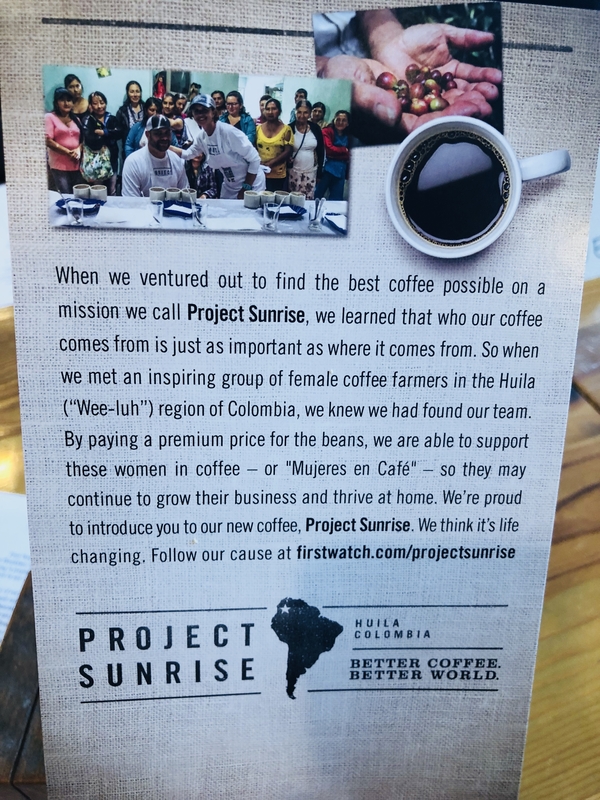 The coffee program helps support a women-led growers organization called Mujeres en Café in Huila, Colombia. Traditionally, the coffee growing industry in Colombia has been male-dominated. Due to the country’s decades-long civil conflict, many women in Huila lost their husbands, brothers and sons and have now taken over the family business. Together, they formed Mujeres en Café and embarked on a mission to create sustainable businesses that elevate the lives of their families and improve conditions in their rural communities. “During our visit to Huila, we met groups of women in several villages who have dedicated their lives to producing great coffee. 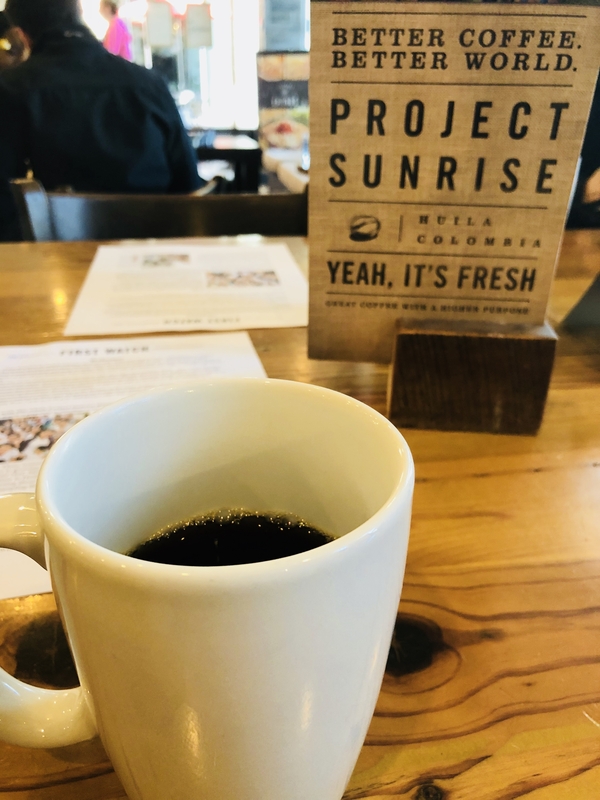 They are proud of their work and were eager to welcome us into their homes, walk us through their farms and share their stories,” Shane Schaibly, corporate chef and VP of culinary strategy for First Watch, said in an announcement of the new coffee program. 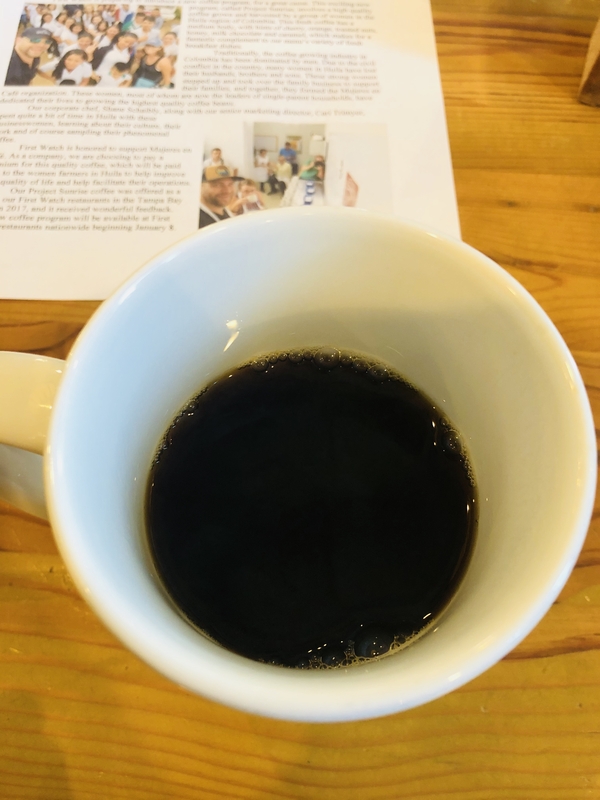 The high-quality beans these women grow and harvest in Huila are exported to the U.S. and roasted by the experts at Royal Cup Coffee in Birmingham, Alabama, exclusively for First Watch. The restaurant company pays a premium for these single-origin beans, which will be relayed back to the women farmers in Huila to help improve their quality of life and help facilitate their operations. 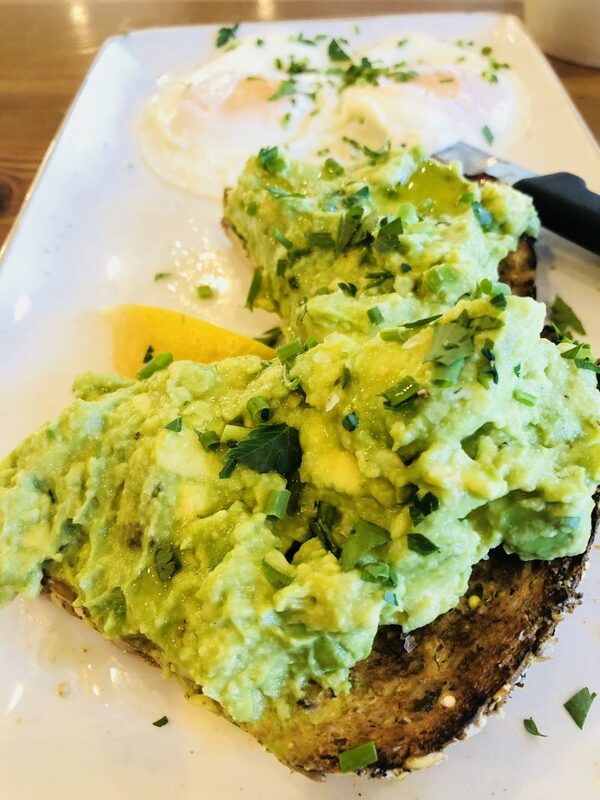 Schaibly spent months working with coffee growers and roasters to develop a coffee that would complement the complex dishes, flavors and textures found on the First Watch menu. 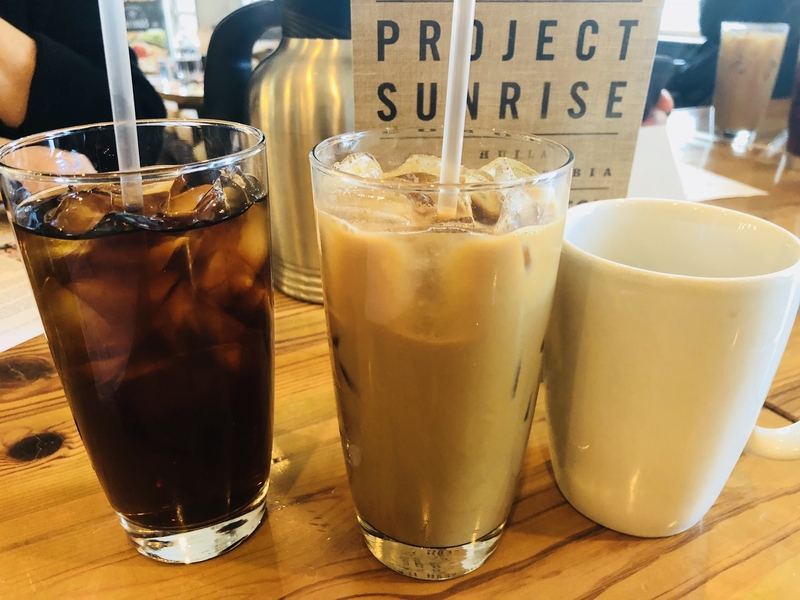 First Watch’s new Project Sunrise coffee fits the bill – it features a medium body, with hints of cherry, orange, toasted nuts, honey, milk chocolate and caramel, which makes for an ideal complement to First Watch’s variety of fresh breakfast, brunch and lunch dishes. For more information on First Watch’s Project Sunrise, visit blog.firstwatch.com. 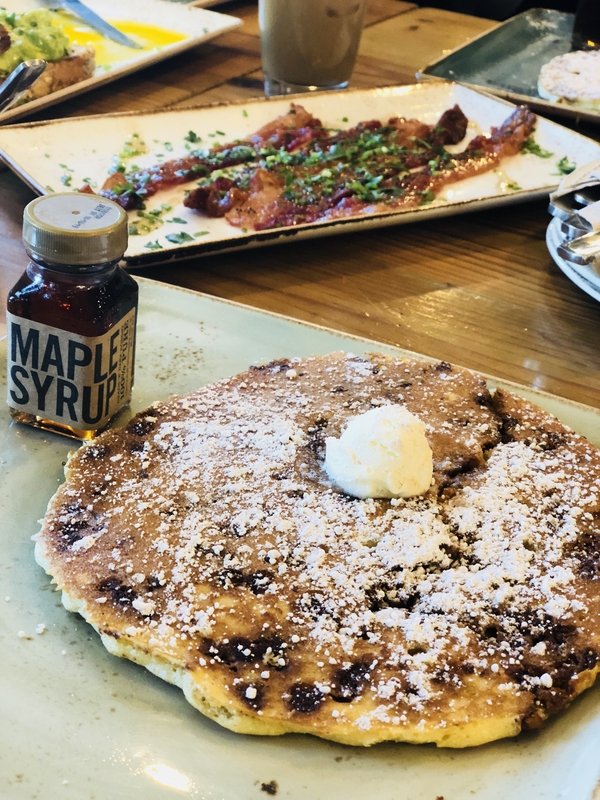 We were recently invite to try some of the new coffee at First Watch as well as sample some seasonal dishes like the millionaire’s bacon, four slices of hardwood smoked bacon baked with brown sugar, black pepper, cayenne and a maple syrup drizzle, and the cinnamon chip panacake. 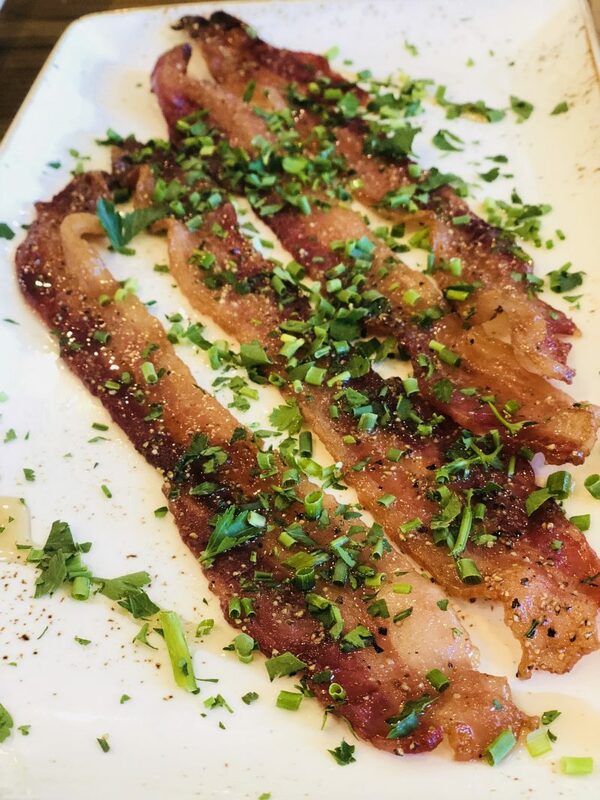 I enjoyed their new coffee, particularly the rich depth of flavor that complimented the dishes well. 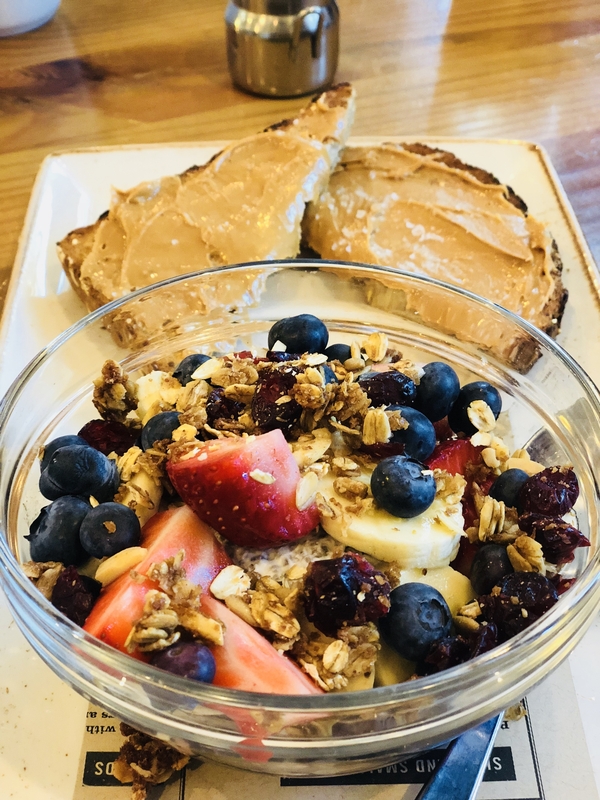 Coconut milk chia seed pudding with fresh bananas, berries, blackberry preserves and housemade granola. 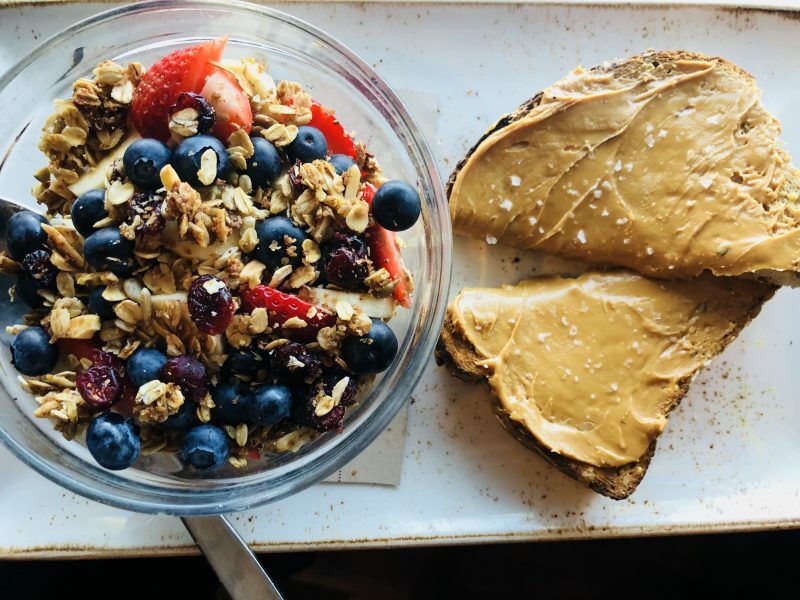 Served with whole grain artisan toast topped with almond butter and Maldon sea salt.